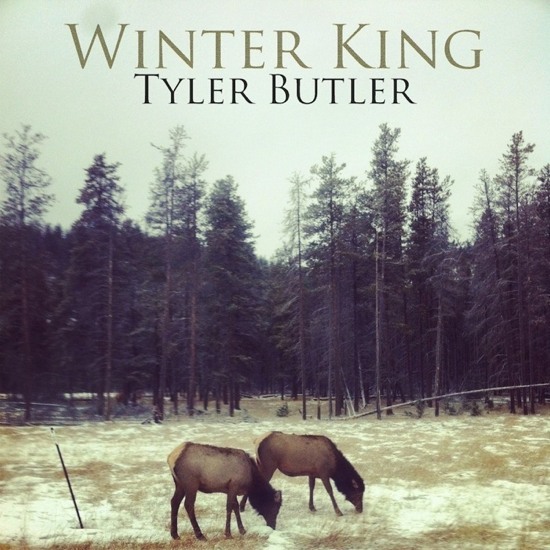 Today sees the re-release of our good friend Tyler Butler’s album Winter King over on our label, Yer Bird Records! This album has seen its fair share of coverage over here, so I just want to say that we still love it and we are happy to bring it back to you all over again. This 2012 re-release includes some re-mastering of the first 4 songs (also called the ‘House Painter EP’ to those in the know) and includes a new recording of ‘Feral Horse’ along with the previously unheard title track, Winter King. So it is now a 10 track release and is available at the Winter King Bandcamp Page or over at the Yer Bird Records’ store. We also have a bonus for you all that we are offering through Slowcoustic for this particular release. 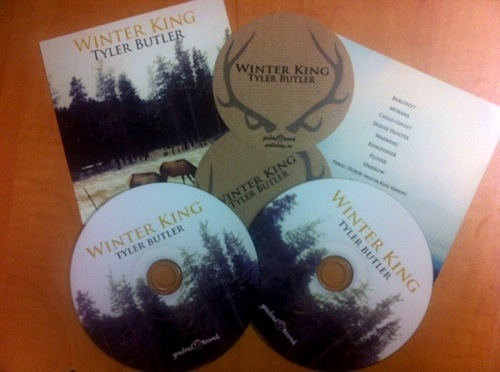 We have some additional promotional CDs that we printed and we then got some stickers made up and made an insert and presto we have an affordable way for you to have a physical copy of the new Winter King! This is an extremely limited run of discs, so act quickly to ensure you get your copy. Each copy will arrive with a download code for the album & a few stickers…all for less than the price of a normal CD! *These links will remain until stock is gone – so as long as you see the PayPal links, we have copies left! For more info on the album visit us at Yer Bird Records.